Randy Motz obtained his trail name of "Windtalker" on his 2006 thru-hike of the Appalachian Trail, completing it with Georgia Harris "Mom". Together, they travel the world hiking, backpacking, playing music, taking photos, and sharing joy through education, entertainment, and inspiration. "Dream it! Plan it! Live it!" 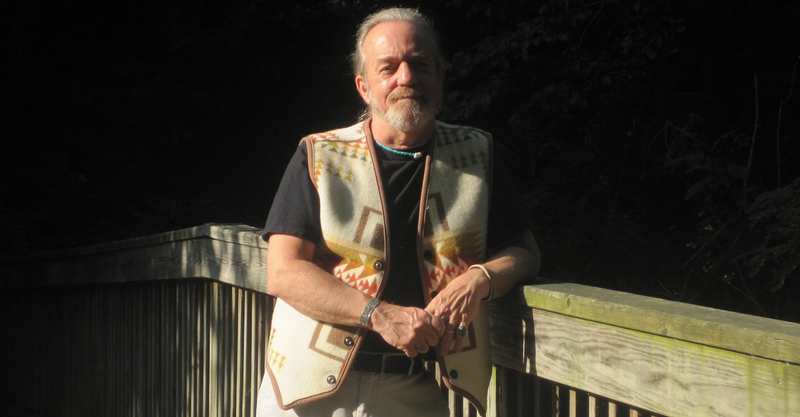 Though not Native American, for much of his life Randy “Windtalker” Motz has studied Native cultures, history, legends, and the First Peoples’ sacred connection with the earth. His journey with the Native American flute began in 2000, after being inspired by the playing of Robert Mirabal from the Taos Pueblo. Since then, he has given over 375 live performances and has recorded three successful Native American flute CDs. “Hózhó – Walking in Beauty,” was nominated for “Best Native American Flute CD of 2016” by One World Music Radio and remained on their Top 100 Chart for over six months. If you are looking for relaxing music or a unique and breathtaking multi-media experience, you have come to the right place. What is the "The Windtalker Experience"? “The Windtalker Experience" is an inspirational multimedia show set to the breathtaking and haunting sounds of Native American flute. “Windtalker’s” distinctive style of contemporary flute is blended with lush orchestration and Native percussion, weaving a soothing musical tapestry. In addition to performing traditional Native American flute compositions from his popular CDs, he also performs jazz, blues, and unique versions of classic rock songs. These beautiful and creative compositions serve as a captivating soundtrack for a backdrop of awe-inspiring photos taken by Georgia Harris. The audience takes a soothing, sometimes playful, and always entertaining journey to breathtaking and iconic locations throughout the U.S. and the U.K. Each performance is interspersed with stories, legends, and historical and cultural facts about Native Americans, making for a very memorable event. © 2019 Windtalker Music. All Rights Reserved.